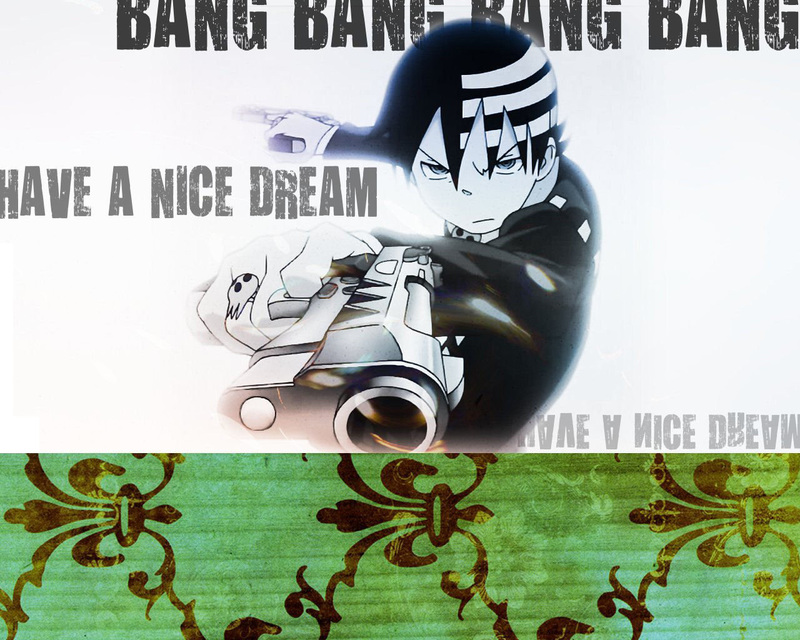 You are viewing the Death the Kid wallpaper titled Death the Kid Have a Nice Dream. This Soul Eater anime wallpaper has been viewed 8291 times. If Death the Kid is your favorite anime character, check out more Death the Kid wallpapers. To view your Death the Kid wallpaper as a full sized image, click on the screen resolution you want. Then just right click the full sized image and "Set as Desktop Background".